Rugs are not only warm accents to a home, they also serve a vital role in any space's cleanliness level. A rug is not only there to protect you from slipping when you exit the shower, it is also strategically placed to prevent dirt and grime from entering your home and making their way into your air cycle. And while a rug can be one of the sturdiest elements in a home or office, it still needs your help ensuring that it gets the proper cleaning required in order to stay fit. A rug whose cleanliness needs are ignored will not be able to stand up to every demand and will eventually end up as a pile of unconnected fibers. Rugs come in every imaginable fabric, fiber, and material - from durable animal skins and leather to delicate silk to mass produced synthetic textile material. 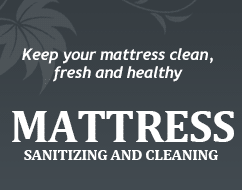 If your rug is composed of synthetic fibers, our Carpet Cleaning Los Angeles cleaning technicians can use our steam cleaning machines to freshen up your rug's appearance and smell as well as remove any stains. If your rug is mixed fiber, meaning it has natural fiber elements in it, like wool or silk, then it will be taken to our privately owned cleaning facility where professionals will attend to its cleaning and grooming over a period of 24 hours. Cleaning your rug at our facility is of the utmost importance because certain rugs, especially Oriental and Persian rugs, are 100% natural and therefore require both hands on cleaning and temperature controlled drying environments. 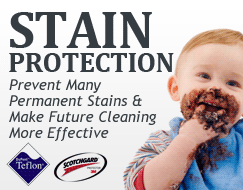 Carpet Cleaning Los Angeles is a locally based cleaning service provider. To be more accessible to our customers we operate from 8am-8pm every day of the week. And since we're right here in town we can often schedule same day services, too. 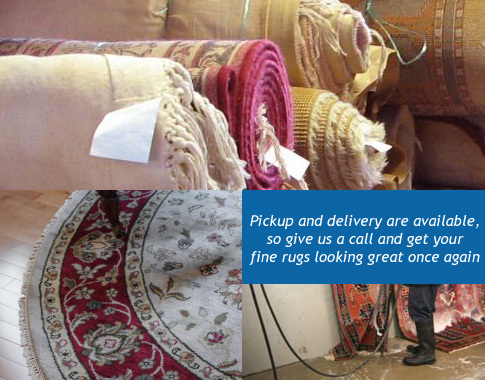 For more information on our rug cleaning or our cleaning facility, or even to arrange a free price estimate, please contact our customer service representatives today.